Home/NEWS/Sarrainodu, Brahmotsavam and Sardaar Gabbar Singh craze reaches peaks. Sarrainodu,Brahmotsavam and Sardaar Gabbar Singh craze reaches peaks. Allu Arjun turning out to be a silent killer, with some great marketing strategies. Mega fans are ecstatic with two mega movies are lined up for release in the month April as summer gifts to fans. Power Star Pawan Kalyan’s ‘Sardaar Gabbar Singh’ and Stylish Star Allu Arjun’s ‘Sarrainodu’s release dates have been locked to April 8 and April 22 respectively. Allu Arjun’s Sarrainodu has got the most response on social media, be it a marketing strategy or over enthusiasm of the fans. They have started comparing Allu Arjun’s movie with the might of Sardaar Gabbar Singh. Sarrainodu has crossed the records set by Sardaar Gabbar Singh on Youtube. Prince Mahesh, on the other hand, availed the benefit of ticket rates hike with ‘Srimanthudu’ to the core and got the movie entered in 80 crores club. If at all huge targets set by ‘SGS’ and ‘Sarrainodu’, ‘Brahmotsavam’ should strive hard to cross the recordsin the month May. Let’s wish all three movies will rock at the box office with record collections. Powerstar and Stylish Star to clash with in a week. Even though the makes have locked the release dates of these movies, one movie will surely be pushed for the month of May or it will be preponed to maintain the safe gap of four weeks between the two films. Incidentally, Prince Mahesh’s ‘Brahmotsavam’s release date had also been confirmed as April 9th by its makers, but then they had postponed it citing some delays, now again there is news that the movie might be preponed to be released before Sardaar Gabbar Singh. We have to wait for more days to get the clarity of the release dates of all these movies. ‘Sardaar Gabbar Singh’ is being helmed by KS Ravindra on North Star Entertainment. Brahmotsavam is directed by Srikanth Addala. Kajal Aggarwal will be seen opposite to Pawan Kalyan in the film and She will also be seen opposite Mahesh Babu in Brahmotsavam. 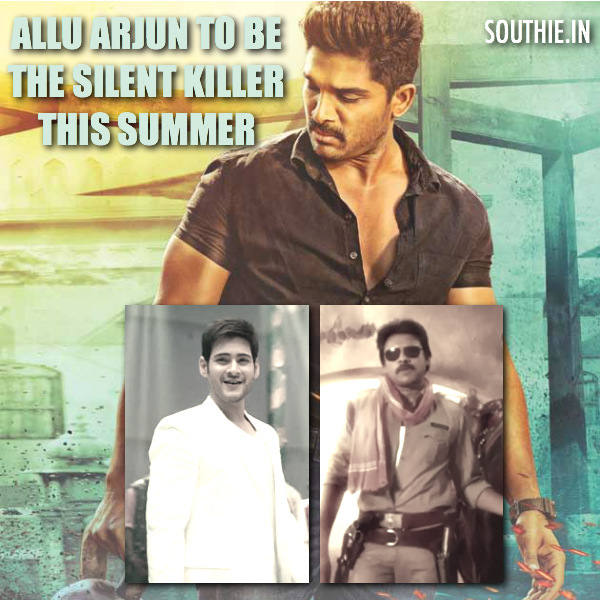 On the other hand ‘Sarrainodu’ is being directed by Boyapati Srinu. The movie has Rakul Preet Singh and Catherine Tresa in female lead roles.